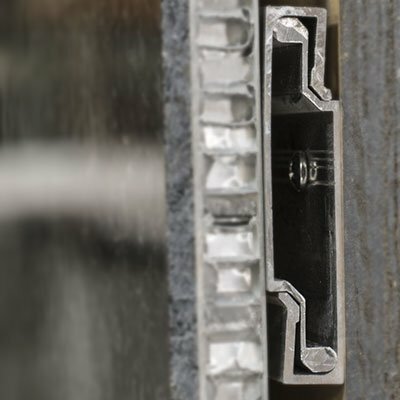 StonePly offers Z-clips for fast and easy installation of our panels. See our installation instructions here. Please read thoroughly before installing. 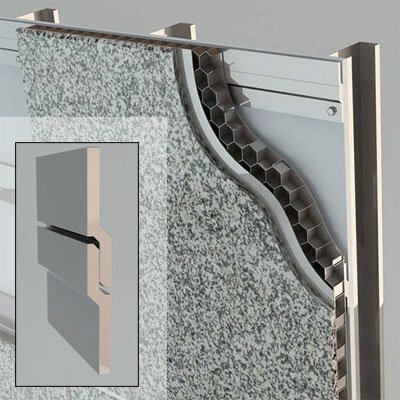 StonePly offers interlocking channel for fast and easy installation of our panels. See our installation instructions here. Please read before installing. Learn how to install StonePly using concealed screw attachment of panels. Get a list of materials and tools needed plus instructions in a printable PDF manual. Learn how to install StonePly using adhesive attachment of stone panels. Get a list of materials and tools needed and instructions in a printable PDF manual. Learn how to install StonePly countertops. Get a list of materials and tools needed and step-by-step instructions: all in a convenient printable PDF manual. Learn how to install StonePly translucent panels with channels. Get a list of materials and tools needed plus instructions in a printable PDF document. Learn how to install Stoneply flooring. Get a list of materials and tools needed plus step-by-step instructions in a convenient, printable PDF manual. Extruded aluminum moldings are attached to the target substrate. 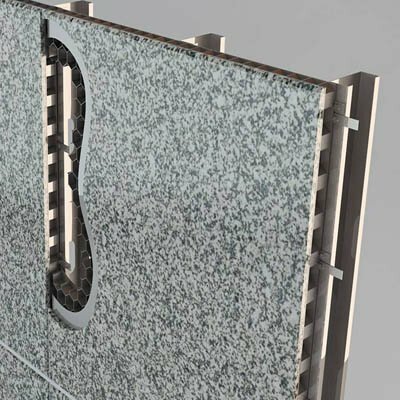 At StonePly's facilities, Z-clips are attached to the back of the panel, which will then slide down into the Z molding that is attached to the target substrate. The Z moldings are mechanically fastened to the substrate. The panels are then inserted into the moldings. Get a printable PDF and detailed Z-clip installation instructions. Plates on the back of the panel extend into the joint. Screws attach the plate to the substrate. The backer rod and sealant at the joint conceal the screws. All fasteners are concealed and panel joints (1/2" typical) are finished with an approved sealant. Get a printable PDF and detailed concealed screw installation instructions. A new attachment style for StonePly that makes panel installation even easier and quicker than before. Read more about installing with interlocking-channel. Read more about installing StonePly stone panels with structural silicone to a substrate. Read more about installing StonePly stone panels as countertops. Read more about installing StonePly translucent panels with channel.